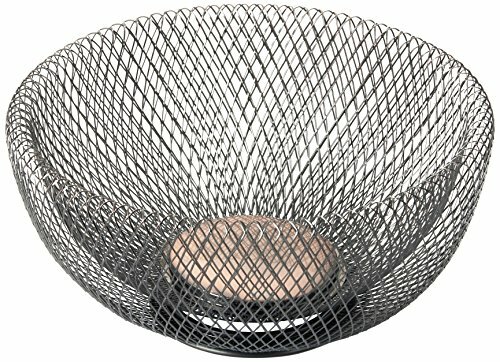 The beautiful and unique double walled mesh bowl is the perfect decorative piece for your home. The Oil Rubbed Bronze colored bowl will work wonders in helping to make your home beautiful. The bowl's also works wonderfully as a fruit bowl, helping fruit ripen evenly. The versatility of the bowl is fantastic as well.